8-9am: Las Vegas hotel pickup. Complimentary light snacks and water we be provided, but attendees are responsible for their own lunch. 10am: Arrival at Hoover Dam. Tour includes visiting the Department of Reclamation. 3:30pm: Approximate return to Las Vegas hotel. Here is your chance to see something really cool—the Hoover Dam! This masterpiece of modern engineering is truly a sight to behold! In half a day, it’s a fantastic tour to get you out of the lights and bustle of Las Vegas to visit something unbelievable. Did you know that the Hoover Dam contains enough concrete to stretch all the way across the United States? Did you know that an entire town was created to house the workers on the Hoover Dam? Did you know that the Hoover Dam was one of the only government projects to be completed on-time and under budget? Your tour starts with complimentary pickup at your Las Vegas Hotel on board one of our luxury coaches. Your driver guide will narrate along the way sharing dozens of amazing facts about the Hoover Dam. The perfect tour for those on a time budget and for the historian in your family. 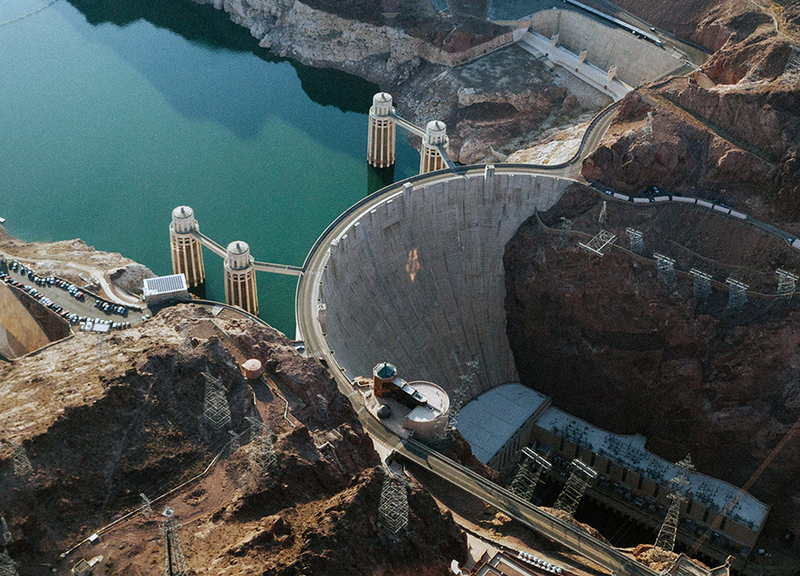 Do something "smart" on this trip to Las Vegas, check out the Hoover Dam. You won't regret it and in only 4.5 hours you won't miss any of the Las Vegas Action. This tour includes complimentary Las Vegas Strip and Downtown Hotel pickup and drop-off as well as tickets to the guided Department of the Interior tour of the Hoover Dam. Spend more than 2 hours on this dam tour taking it all in and learn all you can about this engineering masterpiece.